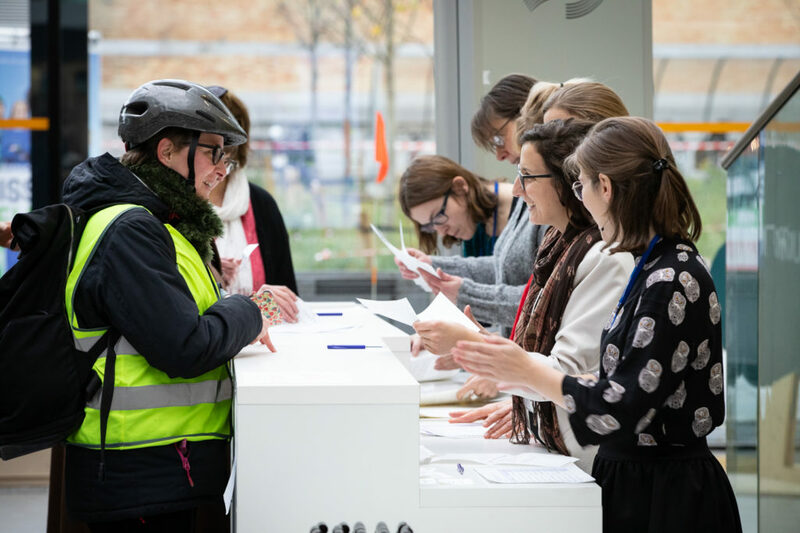 The European Week for Waste Reduction started last Saturday with the first edition of the Zero Waste fair and couldn’t have had a better launch. With its 10.000 participants it was an instant success. 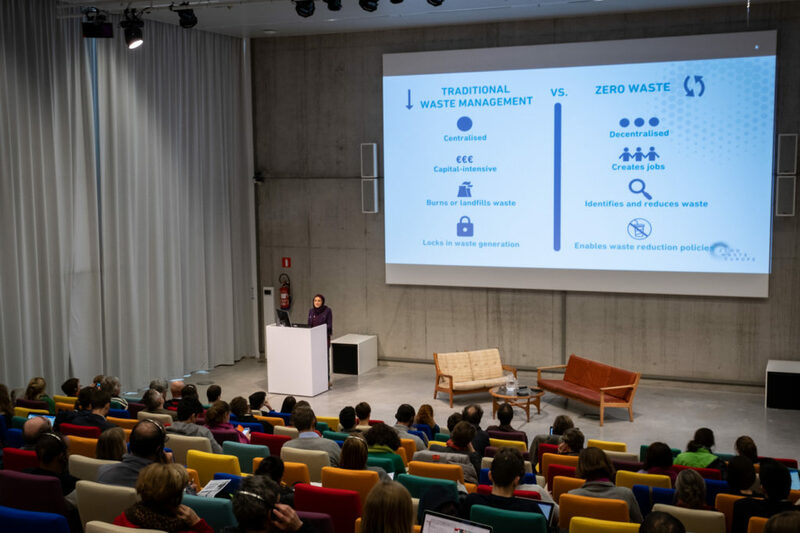 Barbara Dewulf, Vice-Director and head of the Information, General Coordination, Circular Economy and Sustainable City Division at Bruxelles Environnement, opens the Zero Waste Cities – the case of Organic Waste Conference, with these uplifting numbers. Zero Waste is in the public and in the citizens agenda setting. That’s precisely why, back in November 2017, Zero Waste Europe took contact with Bruxelles Environnement to propose a joint action as part of their “Zéro Déchet” year and quickly found a common ground on the need to mainstream the understanding of Zero Waste at the local level, showing best practices and proving that it is feasible and already happening across Europe. ACR+ was invited on board and the 3 organisations have then designed the event together. The focus on food and organic waste was established as in most of our experiences this is a key entry door (a sine qua non condition) to push for more holistic Zero Waste strategies. The Conference received massive interest with 300 registrants coming from a variety of backgrounds: University researchers; west management consultants and companies; public institutions at regional, local, national and EU level; NGOs working on environmental issues and private citizens. The enthusiasm and interest were such as to make people attend from different countries, as far as Italy and Ukraine. The international atmosphere was represented on stage too, with 13 speakers from 9 european countries. Organic waste prevention and management were faced at two levels: household and big producers like hospitals and commercial activities. Our moderator, Khushboo Balwani, set the discussion for the day. For the household part we could listen from Michele Giavini, Senior Expert at CIG – Italian Composting and Biogas Association, who shared the lessons learned from the separate collection of organic waste in 6 large European Cities (Milan, Madrid, Copenhagen, Barcelona, Genova and Paris) and how these experiences could inspire other big municipalities to do so. 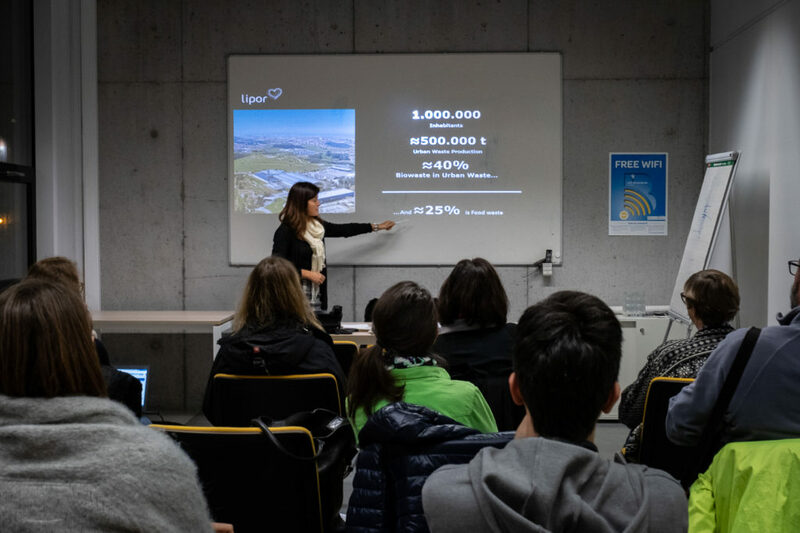 Christine Sautenet, Director Sybert, the French local authority of Besancon, exposed the powerful results this city achieved, using a decentralising approach based on community composting (an extensive analysis on Besancon can be found in Zero Waste Europe Case Study). as named in a recent article from Le Soir. 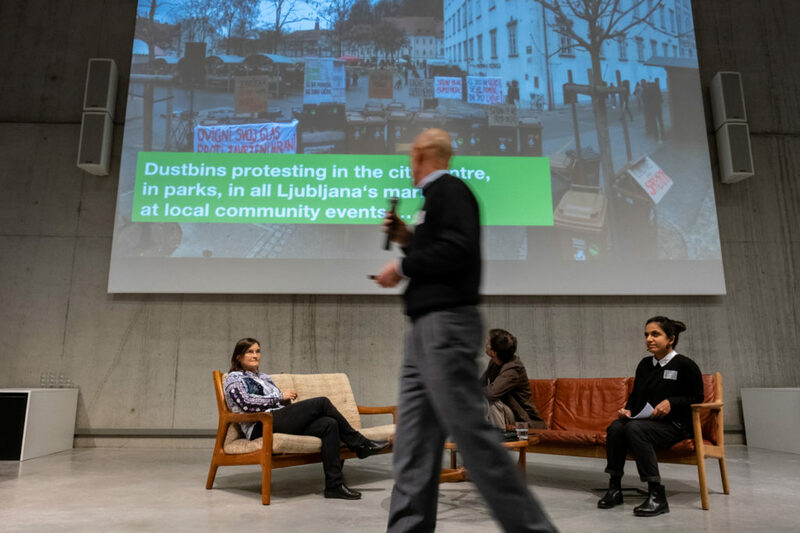 Being the only European city formally adopting a holistic Zero Waste commitment, including refusing traditional waste disposal approaches like incineration, Ljubljana clearly seems to be an inspiring example in separate waste collection, treatment and in the communication with citizens. Janko Kramžar, Christine Sautenet, Michele Giavini and Khushboo Balawni on stage. 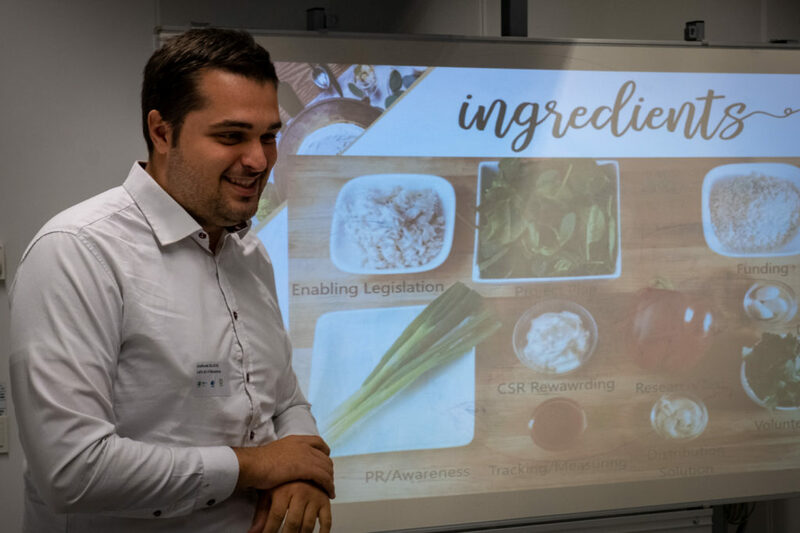 The first panel was closed by Antony Buchan from London Waste and Recycling Board, who introduced TRiFOCAL, an EU innovative project that combines messages on healthy sustainable eating, food waste reduction and food waste recycling in a creative way, aiming at a behavioural change. The second panel focus were big producers: Irena Sedej, Novo Mesto General Hospital, presented the results of the Let’s not waste food! project, executed by our member Ecologists Without Borders, on hospitals where, among other issues, the patients’ health is one of the crucial costs of food waste. Simon De Muynck reviewed Operation Phosphore, an innovative project he coordinates, that strives to replace the centralised and linear organic collection system with a resilient, circular and convenient approach for all Brussels residents. Teresa Guerrero, Head of Separate Collection Promotion at the Waste Agency of Catalonia, introduced the last big producer of the day: the commercial sector. In Catalonia, organic waste separate collection is compulsory for commercial activities since 2009. We learned that key ingredients for the optimal implementation of the collection and treatment are the public-private interaction and the multilevel cooperation between public entities. The crowded Q&A was followed by 5 hands-on workshops where the attendees could improve their practical knowledge and apply what they learned in the panels. The speakers covered varied subjects: Susana Freitas, from the Portuguese LIPOR, on the prevention strategies; Jasmien Wildemeersch, from the Brussels based FoodWIN, on their activities in Bruges; Enzo Favoino, Zero Waste Europe (ZWE) Scientific Coordinator, on the touristic sector approach with the Italian Sardinia region (to be read in this ZWE Case Study); Blazhe Josifovski, President of our member organisation “Let’s do it Macedonia”, explaining how to set up an efficient food surplus working scheme and Gloria Zavatta, CEO at Amat and ex Sustainability Manager at Expo 2015, on waste management in mega events (remember that the Milan EXPO received 21 millions visitors and with the collection of unused food saved 50 tonnes of food in 6 months). As you could read in the last figures, food and organic waste management is a big issue. But this Conference proved that it can be faced. Cooperation between local players, citizens, policy makers and business initiatives can put our cities on the path towards Zero Waste. 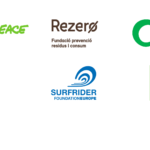 In the words of Zero Waste Europe Network and Development Coordinator in the charge of the Cities programme Esra Tat “As we can see in these exemplary best practices and from our experience, the transition towards Zero Waste is already happening across Europe. We have all the knowledge needed and the examples to support other cities with a fast and smooth change. 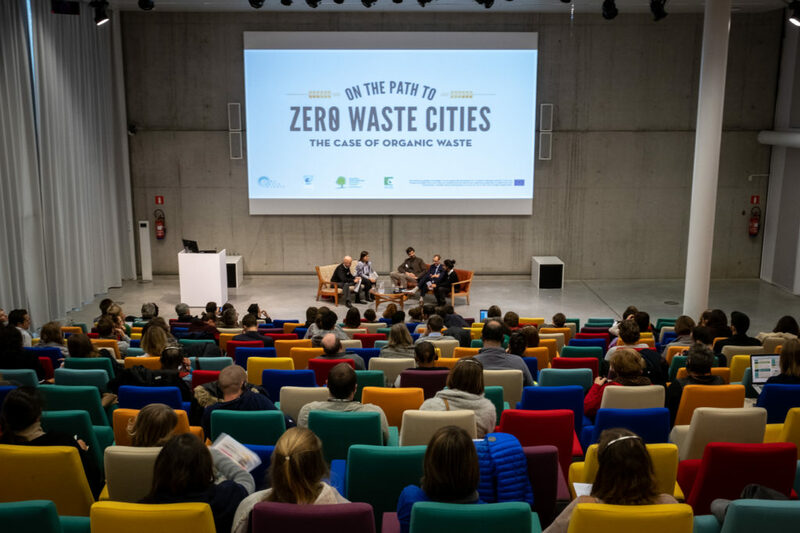 We just need to make it available to a broader public and we are doing so with our Zero Waste Cities programme, designed to support and mentor municipalities in Europe to adopt Zero Waste strategies and turn Circular Economy into reality. We’re intensifying our efforts with practical tools and experiences, as the upcoming Flanders Study Tour and the Zero Waste Live! Webinar series, the next topic is actually the collection of biowaste in densely populated areas”. Click here to read the full programme of the Conference. Click here to check all the other events in the EWWR programme.